A key characteristic of Hong Kong is that we are very much an inclusive and cosmopolitan city, with a diverse mix of international talents. For example, next week, Supercharger, a fintech accelerator based in Hong Kong and started by an Austrian, will host a Demo Day to showcase the solutions of 10 companies from their 2018 cohort. These include startups from Hong Kong, Canada, India, Ireland, Korea, Poland, Switzerland and the UK, and they cover work on RegTech, trade finance, wealth management, AI analytics and credit scoring. Professionals of many nationalities have come to set up office in Hong Kong due to our financial infrastructure, ample presence of financial institutions, our sound legal system, a low and simple tax regime, and also access to the huge market in China and the rest of Asia. Hong Kong is one of the top IPO hubs in the world, where our stock market capitalisation is at around 11.5 times our GDP. Over the last nine years, Hong Kong topped the world’s IPO league table five times. We are also by far the leading offshore renminbi centre globally, managing 70% of global offshore renminbi payments. Out of the world’s top 100 banks, 70 have operations in Hong Kong. And 70 of the world’s 100 largest global money managers have a presence in Hong Kong. Hong Kong is the largest hedge fund hub in Asia and the second largest private equity centre in the region, after Mainland China. We are also a leading private wealth management centre and we have one of the most open insurance centres in the world. Hong Kong has always taken pride in our rule of law and sound legal system based on common law. Under the principle of “one country, two systems”, Hong Kong’s judicial system is independent of that of China. Hong Kong maintains a robust regime for intellectual property rights. In the latest World Economic Forum Global Competitiveness Report published in September last year, Hong Kong ranked ninth in IP protection among the 137 economies covered by the report. Our tax regime is simple and low. The maximum salaries tax that one pays is a standard rate of 15%. As for profits tax, this year we have just introduced a competitive two-tier regime that charges half of our standard tax rate of 16.5%, that is, 8.25%, for the first $2 million of profits. This will be particularly beneficial for startups and small and medium enterprises. Finally, Hong Kong has an unrivalled geographical location in the heart of Asia. Within five hours, you can reach half of the world’s population. Our connections to Mainland China, the second largest economy in the world and one of the most happening places for fintech globally, are strong and continue to strengthen. In terms of land transportation, the Hong Kong-Zhuhai-Macao Bridge set to open later this year will shorten the travelling time between Hong Kong and the western part of Guangdong from four hours to only 45 minutes. The bridge spans 55km, so you can actually run a marathon over there! Another exciting development is the Hong Kong Section of the Guangdong-Shenzhen-Hong Kong High Speed Rail which is slated to start service also later this year. At the end of 2017, China’s High Speed Rail lines were over 15,500 miles long, accounting for about two-thirds of the world’s high speed rail tracks in commercial use. The 16-mile section in Hong Kong links up with the rest of China and provides high speed and quality travel to complement air transportation. But connectivity goes far beyond physical connectivity through air, land or rail transportation. Connectivity is also about flow of people, goods, services, capital and information. And here is where the Guangdong-Hong Kong-Macau Greater Bay Area comes in as an initiative which will strengthen Hong Kong’s position as the gateway to Mainland China and Guangdong Province in particular. This Greater Bay Area in the south of China represents a huge market of over 67 million people spread over nine cities in Guangdong Province plus Hong Kong and Macau. And this is more than the population of Italy or the UK. The Greater Bay Area is already a substantial economic powerhouse. The GDP of the Greater Bay Area is around US$1.4 trillion, comparable to that of Australia and South Korea. Currently, the Tokyo Bay Area, with a population of 44 million, has a GDP of US$1.8 trillion. The San Francisco Bay Area, with a much smaller population of 7.6 million, has a GDP of US$800 billion. Of course, the San Francisco Bay Area has the highest GDP per capita among the three, and the other bay areas would have some catching up to do. Yet another feature of the Greater Bay Area is its entrepreneurial culture. Private enterprises have thrived in Guangdong since China opened up its markets in 1978. According to a list of the Most Valuable Chinese Brands in 2018 compiled by global communications firm WPP and research agency Kantar Millward Brown, 30 of the top 100 Chinese companies on the list are headquartered in the Greater Bay Area. In particular, Shenzhen, which is often called the new Silicon Valley, is home to large high-tech companies and rising startups. Familiar tech giants like Huawei and Tencent are headquartered in Shenzhen, which as a city spends over 4% of its GDP on research and development. In fact, companies in Shenzhen file more international patents than those in France or Britain. Shenzhen has played a significant role in China’s emergence as a major player in fintech. This is particularly true in the payments space, which is dominated by Tencent’s WeChat Pay and Alibaba’s Alipay. Official figures suggest that China had a total of 527 million mobile payment users at the end of last year. Online payment transactions totalled around US$24 trillion for the first 10 months last year, ranking first in the world. In 2014, Tencent launched its WeChat Red Packet campaign – a digital version of the old Chinese custom of giving out good fortune money to friends and family members during Chinese New Year. This year, a record 768 million people used the platform during the six-day holiday period of Chinese New Year. Alibaba’s Singles’ Day Shopping Festival is another good example of the popularity of mobile payments in China. This Festival can be summed up with several mind-boggling numbers. Over 140,000 brands and 15 million products took part in the festival, and 812 million orders were made, with total sales of roughly US$25.3 billion. All of this in just one day! But while the likes of Baidu, Alibaba and Tencent are the biggest tech players in China, millions of medium-sized enterprises are seen as hidden champions that may become tomorrow’s heroes. According to a report released by the Hurun Research Institute in April this year, China had more than 150 “unicorns” at the end of March, with a combined value of over US$630 billion (RMB 4 trillion). These include quite a few “unicorns” from Shenzhen. In comparison, data from CB Insights suggests that the US is home to around 235 unicorns worth US$812 billion. What is interesting is that the startups in China appear to be scaling up faster than those in the US. A report by the Boston Consulting Group suggests that Chinese tech startups on average take four years to reach the US$1 billion mark for “unicorns” but their US counterparts would take seven years. There is much collaboration between Hong Kong and our neighbouring city Shenzhen in terms of innovation and technology. We are currently developing an 87 hectare Hong Kong-Shenzhen Innovation & Technology Park, which is four times the size of the existing Hong Kong Science Park and is expected to inject more than US$7 billion a year into Hong Kong’s economy once it is up and running. In June 2017 Hong Kong’s central bank and banking regulator, the Hong Kong Monetary Authority, and the Office of Financial Development Service of the Shenzhen Government agreed to strengthen co-operation in fintech between Hong Kong and Shenzhen. The goal is to create a more favourable environment for banks and other financial institutions to develop and use fintech applications. 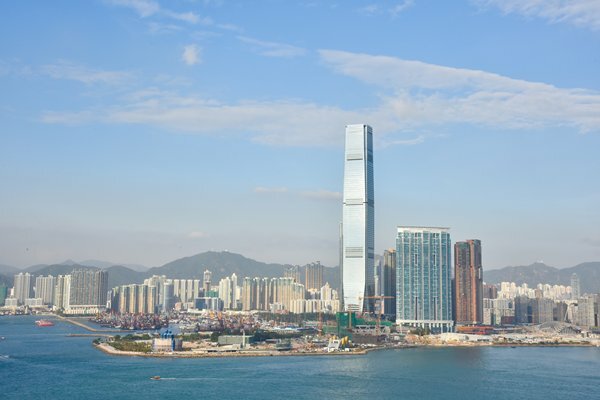 Along with Cyberport, which is Hong Kong’s creative digital community, the two regulators in Hong Kong and Shenzhen are exploring the feasibility of establishing cross-border soft landing facilities in Shenzhen, encouraging Hong Kong fintech firms to expand their business to the Mainland, and Mainland firms to establish themselves in Hong Kong. Let me now turn to the many opportunities in fintech in Hong Kong. The high concentration of banks, securities firms and insurance companies in Hong Kong is such that there is a market with big potential for fintech startups that wish to take a collaborative approach with incumbent financial institutions. Our three regulators – the Hong Kong Monetary Authority, Securities & Futures Commission and the Insurance Authority – have all established dedicated fintech liaison platforms to enhance communications with the fintech industry. The Hong Kong Monetary Authority launched its Fintech Supervisory Sandbox in September 2016. In September 2017 the Securities & Futures Commission and the Insurance Authority launched sandboxes for their respective industry. A number of financial institutions have also set up fintech accelerators in Hong Kong. For example, DBS Bank from Singapore has an accelerator program in Hong Kong which focuses on five areas: digital channel experience, compliance monitoring, credit digitisation, customer engagements and cyber security. These are basically services revolving around the DBS product offering. Commonwealth Bank of Australia also has an Innovation Lab in Hong Kong that connects startups with a talent pool of experts and provides ongoing mentorship. Accenture’s Fintech Innovation Lab Asia Pacific, based in Hong Kong, gives selected startups access to senior decision-makers at more than 20 financial institutions. In April Standard Chartered Bank announced the opening of its Hong Kong innovation lab, the eXellerator, to promote innovation within the Bank and to tap emerging fintech and data science in the region. The eXellerator has an area of over 10,000 sq feet and will serve as a collaboration space for business units, clients, technology companies and industry partners to solve business problems and explore opportunities. In distributed ledger technology, or DLT, Deloitte officially opened its Asia Pacific Blockchain Lab in Hong Kong last year. The Lab will implement and deploy DLT applications for corporate clients across the region. This is Deloitte’s third global blockchain lab, in addition to two others located in Dublin and New York. In fact, a lot is happening in Hong Kong in the field of DLT applications. The Hong Kong Applied Science & Technology Research Institute (ASTRI) supports the development of blockchain technology, with a focus on enhancing blockchain consensus algorithm and network security. Apart from publishing white papers on DLT, the Institute has also been involved in designing real world applications. For example, the Institute developed a Property Valuation Blockchain System for the Bank of China Hong Kong, which provides a more secure and efficient way to digitise the process of property valuation in the lengthy mortgage loan application process. The system simplified the entire property valuation process and led to a sizeable reduction in the operating cost. Another project is a DLT based trade finance system developed by the ASTRI in collaboration with the Hong Kong Monetary Authority and a number of local and international banks, including HSBC, Bank of China Hong Kong and Standard Chartered Bank. This project has great potential to simplify the existing paper-based trade finance operations, and will be able to provide real time visibility that prevents double financing fault among the participating financial institutions. The Hong Kong Monetary Authority and the Monetary Authority of Singapore are also jointly developing a cross-border blockchain solution for trade finance. Named the Global Trade Connectivity Network, this will be an open architecture platform that enables the seamless transfer of digital data and documents across borders. While this will begin with the Hong Kong-Singapore trade corridor, the platform is expected to be rolled out to other markets relatively quickly. Furthermore, Hong Kong’s connectivity to China and the rest of Asia makes us an ideal launch pad for companies eyeing international expansion to our part of the world. As mentioned earlier, not only does our Guangdong-Hong Kong-Macao Greater Bay Area present a huge consumer market for startups in Hong Kong, the entire bay area is a super ecosystem for I&T with Hong Kong and Shenzhen as two focal points. A good example of the synergies between Hong Kong and Shenzhen in nurturing startups is DJI, the first “unicorn” drone company which now ranks as the world’s largest drone maker with 70% global market share for civilian and commercial use drones. This company was founded by Frank Wang, a graduate of the Hong Kong University of Science & Technology. His startup was first conceived in Hong Kong, which is strong in research and development, but is now based in Shenzhen, which gave it support for making prototypes and commercialising the products. Let me share with you a couple more examples. 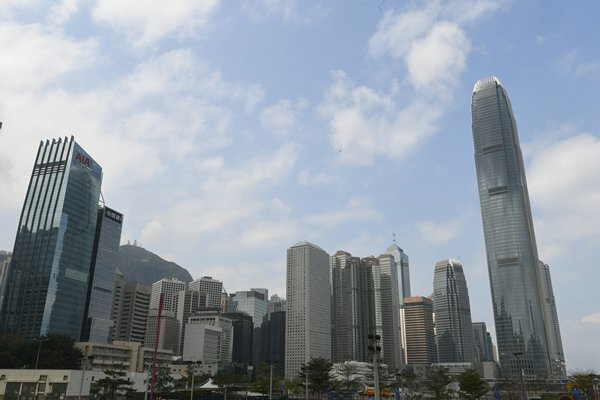 Leverate, an Israeli company in foreign exchange trading, set up its Asian headquarters in Hong Kong to capture opportunities especially in Mainland China. Since 2012 the company has experienced a business boom thanks to customer confidence in its cutting edge brokerage technology solutions. Hong Kong serves as their Asian headquarters and they now serve clients in the entire region, including Mainland China, Japan, Indonesia, Singapore, Taiwan and Australia. In addition, Austreme, an Australian fintech company, set up its regional headquarters in Hong Kong to capitalise on the growing demand for cloud-based, big data enabled e-commerce monitoring services. And NTT Data, a Japanese IT services provider with business operations in over 40 countries, chose Hong Kong as the Global Payment Hub for its payments business to serve merchant customers around the world. A homegrown example is TNG, an e-wallet company which provides a range of electronic payment services to consumers all over Asia. Founded by a Malaysian entrepreneur, the company provides electronic payment services in 14 jurisdictions including Hong Kong, China, Australia, most ASEAN countries and South Asia too. Of course, the most important element for capturing all these opportunities is talents. So let me conclude by referring to the Technology Talent Admission Scheme that Hong Kong has just rolled out. The scheme provides fast track arrangement for the admission of overseas and Mainland research and development talent in the areas of fintech, artificial intelligence, cyber security, robotics, data analytics, biotechnology and material science. Hong Kong has emerged as the link between the East and the West in the ever-exciting and ever-expanding area of fintech. As a fast-growing hub for startups and the gateway to China and the rest of Asia, we are truly a place where you can say that the world is your oyster! Secretary for Financial Services & the Treasury James Lau gave these remarks at a luncheon co-organised by the Hong Kong Economic & Trade Office in San Francisco on May 29. As the much anticipated West Kowloon Cultural District is gradually becoming a prominent landmark on the waterfront of Victoria Harbour, the Hong Kong Palace Museum will be the jewel on the crown. It will enrich the scope of the cultural district, complementing traditional Chinese performing arts showcased at the Xiqu Centre with visual arts while at the same time juxtaposing the ancient with the contemporary in visual culture together with M+. The Hong Kong Palace Museum builds on the very strong and solid co-operation we have had with the Palace Museum over the years. Every time we put up an exhibition of the Palace Museum treasures in town, it was always a blockbuster. With the new dedicated museum, local residents and visitors will enjoy long-term opportunities to appreciate the exquisite Palace Museum collection, to be curated in a comprehensive and in-depth manner with Hong Kong characteristics. Delivering this world class museum to Hong Kong is no easy task. We are deeply grateful for the strong support of the Central Government and relevant agencies for this project, as well as the generous donation of the Hong Kong Jockey Club Charities Trust. Today’s ceremony marks another key milestone as the project enters into the construction phase. I wish it all the best and, like every one of us in Hong Kong, eagerly look forward to its early completion and opening. Chief Executive Carrie Lam gave this speech at the Groundbreaking Ceremony for the Hong Kong Palace Museum on May 28. Almost a year into my tenure as the Chief Executive of the Hong Kong Special Administrative Region, I have to say that apart from hard work, there have been moments of frustrations. But all these are worth it because of the exclusive honour and privilege given to the Chief Executive to officiate at the formal opening of several heritage projects, which are so close to my heart. They include the Viva Blue House, The Murray and now Tai Kwun. I am overwhelmed with joy, relief and pride. The conservation of the Central Police Station Compound was conceived and presented as a gift from the Hong Kong Jockey Club to the people of Hong Kong in celebration of the 10th anniversary of the establishment of the Hong Kong Special Administrative Region. After more than a decade of dedication, patience and perseverance on the part of the club and the many experts and workers involved, the people can now rejoice at the grandeur of the gift they have received. The project has brought the Central Police Station Compound, which has long been a critical piece of our heritage, to revitalised and re-imagined life. The effect is much better than one could have imagined. This gift is certainly worth the wait. As the advocate for many of Hong Kong’s heritage conservation projects in my then capacity as Secretary for Development, there is always a personal attachment and obligation on my part that makes me worried about the satisfactory completion of each and every of these projects. Tai Kwun is a particularly sensitive project given the scale, its location, public expectations, the cost, the compatibility of the two additional structures with the old buildings, etc. It is therefore for me a big relief to see all these factors being taken care of so well, thanks to the work of design architect Herzog & de Meuron, represented by Ascan Mergenthaler here, the conservation expert Michael Morrison, the executive architect Rocco Yim, the Project Director Mike Moir and most importantly, the generosity of the Hong Kong Jockey Club in committing to a heftier investment of $3.8 billion, well exceeding the original $1.8 billion when I announced this project in October 2007. I hope nobody will label this as a cost overrun! 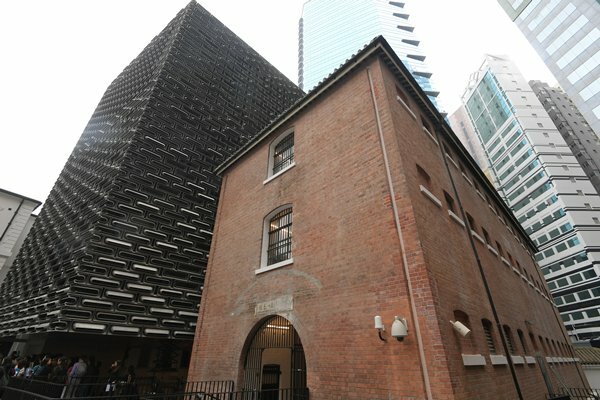 From today onwards, Tai Kwun will become a much valued cultural precinct in Hong Kong, a hang-out area for the young and the artistic, a place for people of all ages to be reminded of Hong Kong’s past, and a “must-see” for tourists. It will be a shining example of Hong Kong’s heritage conservation work and a landmark of “Conserving Central” – a major initiative announced in 2009 aiming at taking Central, Hong Kong’s century-old CBD to even grander and newer heights. Our descendants will be proud of the legacy we have left. What should not go unnoticed is the value that the club has attached to public engagement throughout the process. The club has fully embraced the views expressed by the public and the neighbours in revising the design of the two newly added structures, in preserving as well F Hall which is actually not a graded historic building, in enhancing connectivity through a very functional and interesting elevated walkway, in actively working with the arts and cultural sector on the software of the project. On behalf of the people of Hong Kong, my most sincere gratitude to the Hong Kong Jockey Club for its vision in bringing Tai Kwun to magnificent life. I am sure every visitor will enjoy this place as much as I do. Chief Executive Carrie Lam gave this speech at the Tai Kwun Opening Ceremony on May 25. “Moana: A Homecoming Celebration” is just the beginning of a series of new attractions under the multi-year expansion and development plan of Hong Kong Disneyland. The plan is being jointly funded by the Hong Kong Special Administrative Region Government and Disney, and it will fuel the expansion of the park’s world-class entertainment offerings right through to 2023. That’s marvellous news for park visitors, for Hong Kong Disneyland Resort and, no less, for the Hong Kong economy. Enhancing our entertainment attractions and offerings can only attract more tourists to Hong Kong from all over the world. Boosting Disneyland’s appeal through new attractions and offerings is, and will continue to be, a high priority. It’s a strategy that’s working well. Over the past two years, Star Wars and Iron Man have turned into resident superheroes, capturing the imagination of our park visitors. 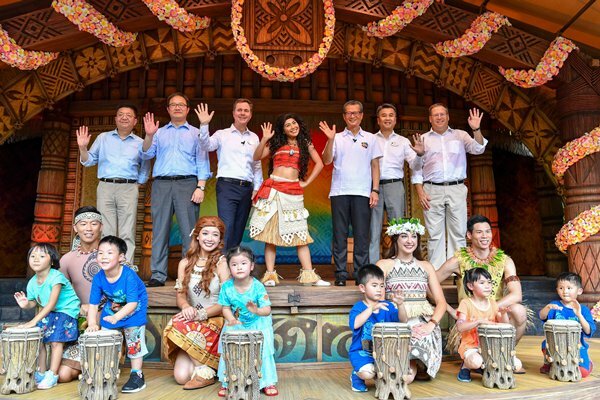 And I have no doubt that the inspired musical theatre, and visual storytelling, of Moana will do very much the same – captivate the world, right here at Hong Kong Disneyland. And there’s more magic on the way. Next year, Ant Man and the Wasp will set up home at the park – here to take on all villains in a thrilling, non-stop adventure. This year alone, two world-class infrastructure developments near the park are slated to open. I’m talking about the Hong Kong-Zhuhai-Macao Bridge and the Hong Kong Section of the Guangzhou-Shenzhen-Hong Kong Express Rail Link. Financial Secretary Paul Chan gave these remarks at the Hong Kong Disneyland Welcome Party for “Moana: A Homecoming Celebration” on May 24. The Hong Kong Special Administrative Region Government is committed to enhancing the quality of education, especially for visually impaired students. In the 2018-19 financial year, the estimated recurrent expenditure on special education amounts to $2.7 billion. The Education Bureau has also increased provision for nursing support and other specialist staff to schools for children with visual impairment. We have also improved teacher-to-class ratio and manpower provision of school social workers for schools. An extra grant is also provided to strengthen IT staff support to promote e-learning. In recent years, Ebenezer has extended its service to the Mainland. It has formed sister schools with education institutions in Nanjing, Ningbo, Shanghai and Guangzhou, and has also provided in-service training for pre-school teachers on the Mainland. I encourage Ebenezer to develop partnership and closer collaboration with our Mainland counterparts, so as to continue to benefit more visually impaired students in the regions. 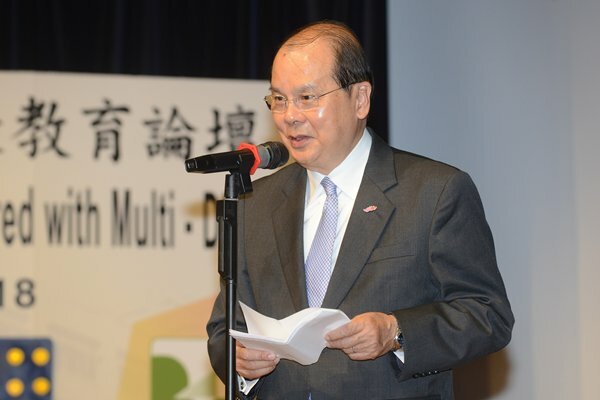 Chief Secretary Matthew Cheung gave these remarks at the Forum on Education for the Visually Impaired with Multi-Disabilities organised by Ebenezer New Hope School on May 21. A healthcare system of high quality and efficiency is the cornerstone of social development. Over the years, Hong Kong has developed a healthcare system that provides quality services for the community. We have made outstanding achievements on healthcare, and healthcare professions have upheld high professional and ethical standards. Our health indicators such as life expectancy and infant mortality rank among the best in the world. As our people live longer lives, the proportion of population aged 65 and over is projected to increase continuously, from 17% in 2016 to 37% in 2066. The Hong Kong Special Administrative Region Government has implemented a heavily subsidised public healthcare system to ensure that no resident is deprived of basic healthcare due to lack of means. With an all-inclusive daily in-patient charge of only $120, which is roughly 11 British pounds, for acute beds at our public hospitals, the Government is currently paying for over 90% of the recurrent costs of the Hospital Authority (HA), a statutory non-government public body. In the past, recurrent provision to the HA was considered on an annual basis, and there was no guarantee that the same amount would continue to be given in the following year. To enable the HA to address increasing service demands arising from a growing and ageing population in a more effective and sustained manner, we have just introduced a new arrangement by increasing the recurrent funding for the HA progressively on a triennium basis, having regard to population growth rates and demographic changes. In 2018-19, an additional recurrent funding of nearly $6 billion (making the total $61.5 billion), an increase of 10.7% from the previous year, will be allocated to the HA to increase the number of hospital beds, operating theatre sessions, the quota for general out-patient and specialist out-patient services and the manpower required. On infrastructure support, the Government has been stepping up its commitment. In 2016, we launched the first ever 10-year hospital development plan – $200 billion was set aside to construct, redevelop or expand 12 hospitals, and construct three new Community Health Centres and a new supporting services centre. It will deliver around 5,000 additional hospital bed spaces, 90 additional operating theatres and 3.23 million out-patient attendances. In the light of an increasing demand for healthcare services, we have recently invited the HA to start planning the second 10-year hospital development plan, which is expected to deliver 3,000 to 4,000 additional hospital beds and provide additional facilities and quotas for consultation. We have set aside a sum of $300 billion as an initial provision to support the second 10-year hospital development plan, improve the clinic facilities of the Department of Health, as well as upgrade and increase healthcare teaching facilities in the universities. On the elderly care front, elderly patients account for half of all patient days and accident and emergency admissions, as well as more than one-third of all general out-patient clinic and specialist out-patient clinic attendances provided by the HA. Going forward, the HA will enhance healthcare services for the elderly to meet the growing service demand. This includes enhancing support for elderly patients with fragility fractures by increasing the HA’s operating theatre sessions for surgery and traumatology, and setting up geriatric fragility fracture co-ordination services in designated acute hospitals, and enhancing physiotherapy service for elderly patients. Meanwhile, medical-social collaboration through the joint efforts of the HA and the Social Welfare Department will also be strengthened with a view to providing a full range of transitional care service and the required assistance for those elderly persons discharged from public hospitals, enabling them to age at home after the transitional period. Currently, the majority of elders can receive healthcare in primary care settings. The Elderly Health Centres of the Department of Health (DH) were set up to address the multiple health needs of our senior population aged 65 or above to identify health risks and detect diseases earlier for timely intervention and prevention of complications. Integrated primary healthcare services including preventive, promotive and curative services, are provided from a family medicine perspective based on a multi-disciplinary team approach. Besides, the Visiting Health Teams of the Elderly Health Service are engaged in reaching out to the community to deliver health promotion programmes to increase the health awareness of the elderly and their self-care ability. Using the train-the-trainer approach, the Visiting Health Teams provide outreach on-site training to sharpen the knowledge and skills of formal and family caregivers of the elderly in different care settings, including elderly homes and day care centres. With dementia becoming prevalent among elders, the Elderly Health Service has also stepped up its efforts in enhancing awareness and equipping carers with skills in taking care of demented patients. Oral health is also a thorny issue in the elderly population. In our 2011 Oral Health Survey, compared with the situation for other age groups, the tooth loss conditions of our elderly were less satisfactory. We have experimented new models of promoting public dental services to the target groups through collaboration with the private dental sector. In 2011, we launched a three-year pilot project to provide free basic dental care for elders in residential care homes or day care centres through subventing outreach dental teams set up by non-governmental organisations. The pilot project was converted into a regular programme namely, Outreach Dental Care Programme for the Elderly, in October 2014 with an expanded scope of treatments to cover fillings, extractions, dentures, etc, and expanded pool of beneficiaries to cover elders residing in similar facilities. Another move is the Community Care Fund Elderly Dental Assistance Programme launched in September 2012 to provide free removable dentures and related dental services for low-income elders who are users of the home care service or home help service schemes subvented by the Social Welfare Department. The programme was expanded in phases in September 2015, October 2016 and July 2017 to cover elders who are Old Age Living Allowance recipients aged 80 or above, 75 or above and 70 or above respectively. It is encouraging to see that we have so far enlisted the participation of over 500 private dentists and 65 dental clinics operated by non-governmental organisations to provide dental services for the eligible elders. The success of our healthcare system, no doubt, hinges largely on our body of dedicated, well-trained and highly professional healthcare teams. To plan ahead, we completed a five-year-long territory-wide Strategic Review on Healthcare Manpower Planning & Professional Development in June 2017. The review covers manpower planning as well as professional development and regulation for healthcare professions including all 13 healthcare professions subject to statutory registration. Over the past 10 years, the Government has substantially increased the number of University Grants Committee-funded healthcare training places by about 60% (from about 1,150 to about 1,800). The Government is discussing with the University Grants Committee to further increase the number of publicly funded healthcare training places for doctors, dentists, nurses and relevant allied health professionals in the 2019-20 to 2021-22 triennium. At the same time, we count on the more flexible self-financing sector to provide training to help meet part of the increasing demand for healthcare professionals and continue to subsidise school fees for students studying in qualified self-financing healthcare training programmes. Following the recommendation of the review, we will update the manpower projection once every three years and have just started a new round of exercise earlier this year to update the demand and supply of healthcare manpower in Hong Kong, with results to be available in early 2020. In order to attract more qualified doctors to come to practice in Hong Kong, we have introduced legislative amendments to the Medical Registration Ordinance to extend the validity period and renewal period of limited registration for doctors from not exceeding one year to not exceeding three years. This can provide more flexibility for the HA and the DH to recruit doctors through limited registration. The HA and the DH will proactively recruit qualified non-locally trained doctors through limited registration to alleviate the imminent manpower shortage. This is also one of the aims of my visit. I will meet some medical students studying in the UK and encourage them to consider returning or coming to practise in Hong Kong after graduation. For years, we have prided ourselves over Hong Kong’s efficient, dual-track healthcare system comprising both public and private sectors. While our public healthcare system is equitable and affordable, an adaptive and vibrant private sector provides more personalised and accessible services to those who are willing and can afford to make use of it. The Government is taking forward various initiatives to enhance the development of both the public and private healthcare sectors. For instance, we have soft-launched the Voluntary Health Insurance Scheme in March this year. Insurers joining the scheme will have to comply with the Minimum Requirements prescribed by the Government in marketing and effecting hospital indemnity insurance products. By improving quality and transparency of hospital insurance, we expect that consumers will have more confidence in purchasing insurance for the use of private hospital services when needed. Ageing definitely presents us with challenges and we cannot be complacent with the existing provision. In recent years, instead of solely relying on the public healthcare sector, the Government has spared no efforts in looking for creative, viable and sustainable solutions to improve the quality of care for the elderly population. One distinguished example is the Elderly Health Care Voucher (EHCV) Scheme. The scheme aims to provide eligible elders a choice to use private healthcare services that best suit their needs, enhance primary care services, and help supplement the existing public healthcare services (e.g. general outpatient services by the HA). Under the scheme, eligible elders aged 65 or above are given an annual voucher amount of $2,000, with an accumulation limit to be raised to $5,000 next month, to spend on private primary care services, including preventive, curative and rehabilitative services. Since late 2015, elders can also use EHCVs to meet the fees for out-patient services provided by the University of Hong Kong-Shenzhen Hospital, which is located in Shenzhen. This is our first service point outside Hong Kong with the aim of facilitating Hong Kong elders who reside regularly in or near Shenzhen to seek medical outpatient treatments locally. As of end-April 2018, over one million elders, which is around 84% of the eligible population, have made use of EHCVs for healthcare services. The cumulative expenditure by the Government to finance the scheme stands at over $5.6 billion. Besides, the Food & Health Bureau, in collaboration with the HA and the Social Welfare Department, has taken forward a two-year pilot scheme called the Dementia Community Support Scheme, which aims to provide support services for elderly persons with mild or moderate dementia at District Elderly Community Centres through a “medical-social collaboration” model. Since its launching in February 2017, the scheme has been well received by the patients, carers and the healthcare and social service professionals involved. To this end, the Government will regularise the scheme and expand it to all District Elderly Community Centres in Hong Kong. Given the ageing population and prevalence of chronic and complex diseases, the Government has been putting elderly care and service at the top of the policy agenda. To enhance the quality of healthcare services for the elderly, in 2015, the Government commissioned the Chinese University of Hong Kong to conduct a three-year research study on the quality of healthcare for the ageing. The study will inform policy in response to the challenge of the ageing population in healthcare, which includes healthcare services supporting elderly people with chronic diseases and quality of end-of-life care. The Government will study the findings and recommendations of the report when it is available, and consider carefully the next step forward on the provision of healthcare services for the elderly. In the meantime, the Hospital Authority, being the major public palliative care service provider, has formulated the Strategic Service Framework for Palliative Care to guide the development of palliative care service in the coming five to 10 years. Besides, as pledged in the Chief Executive’s Policy Address 2017, we will consider amending the relevant legislation to give patients the choice of “dying in place”. On the other hand, driven by population ageing, changes in social fabrics and behavioural patterns, and globalisation, there is increased prevalence of unhealthy lifestyle practices. Hong Kong is thus facing an unprecedented threat from NCDs. NCDs are major causes of ill health, disability and death. In 2016, the major NCDs, namely cardiovascular diseases including heart diseases and stroke, cancers, diabetes and chronic respiratory diseases, accounted for about 55% of all registered deaths in Hong Kong. In the same year, NCDs caused about 104,600 potential years of life lost before the age of 70. The health conditions of individuals also have a bearing on families, healthcare systems, and the entire society and economy as a whole. The Hong Kong SAR Government is committed to protecting population health and reducing the burden of NCDs. As prevention and control of NCDs require the combined and sustained efforts of the Government, the community and individuals, the Government launched in 2008 “Promoting Health in Hong Kong: A Strategic Framework for Prevention and Control of Non-communicable Diseases” to guide and give impetus to the efforts. A high-level multi-disciplinary and inter-sectoral Steering Committee on Prevention & Control of Non-communicable Diseases, under the chairmanship of the Secretary for Food & Health, me and former, was set up at the same time to oversee the overall roadmap to combat NCDs. These paved the way for launching various action plans subsequently to promote a healthy diet and physical activity participation, reduce alcohol-related harm and strengthen injury prevention in Hong Kong. As you can see, we have taken actions and devoted substantial amounts of resources on the prevention and control of NCDs over the past decade. On the positive side, I am pleased to see that, overall, the risk of premature mortality from cardiovascular diseases, cancers, diabetes and chronic respiratory diseases has been steadily decreasing over the past three decades. Yet, we remain concerned about the risk factors for NCDs taking a toll on our general population. The Population Health Survey 2014-15 conducted by the DH showed that, for those aged 15 to 84, the prevalence of hypertension, diabetes mellitus and high blood cholesterol were significant and were as high as some 28%, 8%, and 50% respectively. We are also seeing the famous “Rule of Half”, i.e. for every person known to be suffering from any of these conditions, at least one other person with the disease went undiagnosed and untreated. The fact that half (50%) of Hong Kong people aged 15 to 84 are overweight or obese would make the situation worse as being overweight and obesity are significant risk factors for development of NCDs, including cancers. The survey also revealed that in the past 12 months, some 95% of the Hong Kong people aged 15 or above consumed less than five servings of fruit and vegetables a day as recommended by the World Health Organization (WHO); 13% did not have adequate level of physical activity to be of benefit to health; and some 61% had consumed alcohol, a proven cancer-causing agent for over 200 disease and injury conditions. This represents an alarming 84.4% increase in regular or occasional drinkers, when compared with the findings of our first survey conducted 10 years ago. Moreover, we found that alcohol drinking is common among young people, with 30.5% of the people aged 15 to 17 being regular or social drinkers in the past 12 months. Apart from the above, the Thematic Household Survey conducted by our government showed that 10% of Hong Kong people aged 15 years or above had a daily cigarette smoking habit. If these modifiable behavioural and biomedical risk factors are left uncontrolled, we can expect significant health, social and economic consequences for our population and society. As a member of the public health arena, Hong Kong is grateful for WHO guidance in our work in the fight against NCDs. For instance, just to name a few, the WHO’s “Global Action Plan for the Prevention and Control of NCDs 2013-2020”, “Tackling NCDs: ‘best buys’ and other recommended interventions for the prevention and control of non-communicable diseases” and “Report of the Commission on Ending Childhood Obesity” provide a road map and a menu of policy options for Governments to work systematically and collectively to reduce the NCD burden. To echo the WHO’s call for developing a multi-sectoral action plan including nine time-bound targets to combat the threat of NCDs, I am pleased to share with you that the Hong Kong SAR Government has recently launched (on May 4, 2018) a new strategy and action plan entitled “Towards 2025: Strategy & Action Plan to Prevent & Control Non-communicable Diseases in Hong Kong” (SAP), with a view to reducing the burden of NCDs, including disability and premature death, in Hong Kong by 2025. It sets out an armoury of overarching principles, approaches and strategic directions in line with the WHO’s recommendations, and provides us new impetus for stronger partnerships and closer collaborations for the good of the community and our future generations. It is a product of collaboration among stakeholders from different sectors in society. Aligning with the WHO’s Global Action Plan, the SAP in Hong Kong will focus on four NCDs (namely cancers, cardiovascular diseases, diabetes and chronic respiratory diseases) and four shared behavioural risk factors (namely unhealthy diet, physical inactivity, tobacco use and harmful use of alcohol) that are potentially preventable or modifiable. Without any effective and timely intervention, these NCDs would have a significant impact on population health. The SAP sets out nine local targets to be achieved by 2025, with “a 25% relative reduction in risk of premature mortality from cardiovascular diseases, cancers, diabetes or chronic respiratory diseases by 2025” being the ultimate target. The other eight targets aim to achieve reduction in binge drinking and harmful use of alcohol as well as daily intake of salt or sodium and tobacco use. We shall also aim to encourage more physical activity and contain the prevalence of raised blood pressure, diabetes and obesity, prevent heart attacks and strokes through drug therapy and counselling, and improve the availability of affordable basic technologies and essential medicines to treat NCDs. To reach our targets, new strategic directions will be adopted to accelerate actions on the NCD reduction agenda. The Hong Kong SAR Government will demonstrate leadership in many ways, such as by transforming schools into healthy settings for students’ development, creating supportive physical and social environments for physical activity, fostering effective partnerships with primary care professionals, and keeping in view accumulating evidence and overseas experience on interventions recommended by the WHO. All in all, our overall objective is to promote healthy life through less alcohol, less salt and sugar, less tobacco and more exercise. (f) strengthening the health system at all levels, in particular comprehensive primary care for prevention, early detection and management of NCDs based on the family doctor model. Meanwhile, the SAP will adopt a set of 34 local NCD indicators including 25 key indicators derived from the WHO’s global monitoring framework (such as cancer incidence and mortality; prevalence of binge drinking among adolescents; and the detection rate of being overweight and obesity in primary and secondary students) and nine supplementary indicators of local relevance (such as prevalence of daily cigarette smoking among persons aged 15 years and above, and the breastfeeding rate on discharge from hospitals) to monitor the plan’s effectiveness. Although Hong Kong enjoys the status of one of the economies with the longest life expectancy, we must not be complacent since we know there are real challenges in achieving healthy ageing. To this end, my bureau, the DH and the steering committee are committed to taking a leading role in implementing the agenda. Moreover, to take our goal to a heightened horizon, the health sector must work in concerted efforts with all sectors in the community. We will continue to foster co-operation across sectors and work in close partnership with the community and members of the public to build a health-enhancing physical and social environment to promote health of all Hong Kong people. We will also closely monitor, review progress of implementation and communicate our achievement of the stated actions with members of the community. We must also keep in view global, regional and local developments and emerging evidence of strategies in light of changing social and environmental circumstances. We noticed that the UK’s recent introduction of sugar tax to curb sugar consumption is a bold step forward which has enlightened us. With systematic implementation of the SAP, we look forward to seeing a happier and healthier population as we move towards 2025. In health promotion and disease control, we are one world. Let us all work together hand in hand to help build a healthier and suitable world for us and our next generations. 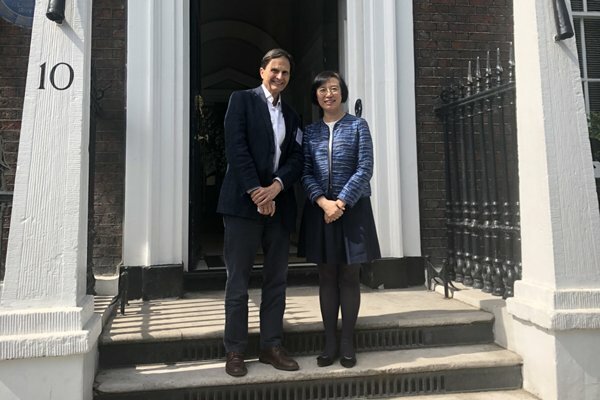 Secretary for Food & Health Prof Sophia Chan gave these remarks at the round table discussion at Chatham House in London on May 18. Your profession is about building a better future for all of us. In this regard, the theme of today’s conference is most timely: “Establishing Hong Kong as the nucleus of a thriving Greater Bay Area”. The bay area development is now being taken forward as a national strategy and the detailed development plan will be promulgated shortly. What is meant by being the “nucleus” is of course subject to interpretation. If it means that Hong Kong is to participate fully and actively in the bay area development, I must say that I could not agree more. Indeed it is exactly what my government is going to do. However, it is important to recognise the key and the driving force for a successful bay area. It is important to recognise that each of the nine cities and the two special administrative regions in the bay area is clearly blessed with its own strengths, its own unique advantages. Combined, those advantages can only complement one another, and can only create a whole whose strengths are markedly greater than its parts. So the bay area development does not focus on Hong Kong or any other city as the nucleus. Instead, it is about the cities complementing each other to maximise the results. On this, Premier Li Keqiang made it clear when he addressed a press conference in March that Guangdong, Hong Kong and Macau must draw upon each other’s comparative strengths; must work together if we are to build a world-class bay area for the 21st century. Following their visit last month to the bay area, our Legislative Council members have a much better appreciation of the value of mutually beneficial co-operation. 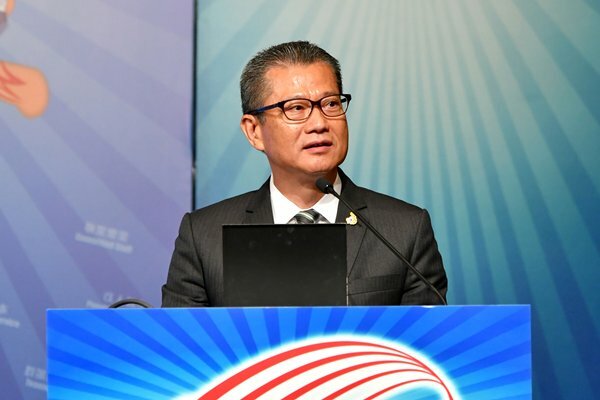 A delegation of more than 30 LegCo Members led by Jeffrey Lam, Chairman of the Panel on Economic Development, spent three days in five bay area cities in late April. They called it a “pragmatic and constructive” visit. Many legislators, including some pan-democrats, went further, arguing that Hong Kong had to grasp the boundless promise of the bay area or risk falling behind our sister cities. Take education as an example. My government places considerable emphasis on developing Hong Kong into a regional centre for education. In Shenzhen, I participated in the establishment ceremony of Harmonia College, which is part of the Chinese University of Hong Kong, Shenzhen. Opened four years ago, Chinese University’s Shenzhen campus is attracting international talent and has already established several innovative research institutes. And that is just the beginning. I encourage our world-class universities, five of them are in the world’s top 100, to continue their efforts in establishing their presence in the bay area. The same goes for other industries in which we have an edge, such as medical services. Shenzhen is a centre for advanced manufacturing and innovation and technology. We are investing greatly in innovation and technology, too, and there will be much opportunity for technology collaboration between Hong Kong and Shenzhen as the bay area evolves. We are, as you know, already partners in the 87-hectare Hong Kong-Shenzhen Innovation & Technology Park. Four times the size of Hong Kong Science Park, it is expected to inject more than US$7 billion a year into Hong Kong’s economy once it is up and running. We have already completed the statutory planning process, and we are working hard towards the target of providing the first developable land for the park by 2021. The Innovation & Technology Park will play a critical role in the Guangdong-Hong Kong-Macao Bay Area’s rise as Asia’s Silicon Valley. That is at the heart of the bay area’s promise – the mutually agreeable and mutually rewarding co-operation emphasised by Premier Li Keqiang. It is also the type of co-operation that takes compelling advantage of our respective strengths. Earlier this week, such co-operation has taken a major boost with the extension of the central fiscal science and technology plans to universities and research institutions in Hong Kong, and the funds could now be deployed here in Hong Kong. Some may question the bay area – or at least Hong Kong’s role in it. They argue that with Guangdong’s major cities advancing at enormous speed, and the economic differentials between us ever diminishing, it may not be good news for Hong Kong in the long run. I think such worries are misplaced. Hong Kong’s strengths are rooted in our “one country, two systems” advantage. This advantage will not disappear or diminish. The freest economy in the world, Hong Kong delivers high-powered financial and professional services and global connections, even as we deepen our economic ties to the Mainland. In this regard, the legislators who visited the bay area last month – particularly those who are not pro-establishment – returned home impressed by the frequency with which Mainland officials spoke of Hong Kong’s acknowledged advantages: the rule of law, our financial prowess and our buoyant internationalism. They might well have added the singular professionalism of our surveying sector. Through CEPA, our exclusive free-trade pact with the Mainland, we enjoy privileged access to the world’s second-largest market. And our strategic position is notably included in the 13th Five-Year Plan, as well as the plans for the Guangdong Free Trade Zone, including the strategic areas of Qianhai, Hengqin and Nansha. So it should not surprise that those gaining ground in the Mainland market have principally been consultants and project managers – professionals who offer knowledge-based services in which resource input and business risk are relatively low. As for those sectors calling for substantial capital investment, and the risks that come with it – I am thinking here of our developers and contractors – they have been clearly less enthusiastic about setting up across the boundary. I am confident the bay area development will be able to change all that. As a start, consider its size: total area, 56,000 sq km; combined population, 68 million; collective GDP, US$1.5 trillion. In terms of GDP, the bay area itself is comparable to Australia and Korea. Beyond the notable numbers, the cities of the bay area form China’s most international, open and economically vibrant region. Working together, they will play a big role in the socio-economic development, reform and opening up of the country. I was pleased to visit the Hong Kong-Zhuhai-Macao Bridge earlier this year. Actually I have visited it twice, one starting from the Hong Kong side and another one from the Zhuhai side. In both visits I went all the way to the border between Guangdong and Hong Kong. In other words, I have already travelled across the whole bridge. It is a truly spectacular and amazing project. At 55km, it is the longest sea-crossing bridge in the world. And it will boost the flow of goods, people and opportunity throughout the bay area. Apart from infrastructure projects, when President Xi Jinping delivered his important speech in Hong Kong on July 1 last year, he mentioned Central Government departments would consider adopting concrete measures to make it more convenient for the people of Hong Kong to study, work and live in the Mainland, and provide more opportunities for them to pursue career development on the vast Mainland. Since then, Central Government departments have already promulgated two batches of facilitation measures for Hong Kong people, covering the areas of education, employment, buying train tickets, etc. We expect more to come, especially in the context of the bay area development, further boosting the flow of people. Being a services economy, I believe our services will surely be in ever greater demand as the bay area cities grow and prosper. Indeed, each of the bay area’s cities will focus on its respective strengths, whether in commerce, trading, innovation and technology, R&D, bio-medicine, the environment or any other industry or business. And they will be supported by such sectors as construction, leisure, entertainment and luxury goods. In any case, a prosperous bay area will generate increasing demand for infrastructure construction and high-end, high value-added services. That is pitching to our strength and our expertise. It will be an opportunity Hong Kong will smartly and eagerly run with. And what about the profession of surveying? To start with, surveyors have long been at the forefront when it comes to building contacts and business opportunities with the Mainland. Indeed, I am amazed at your foresight. It goes all the way back to the late 1980s. That is when you began to introduce estate planning, valuation, quantity surveying and contract management services to the Mainland – on your own and through joint ventures with overseas consultants. And when the Mainland introduced its opening-up policy – 40 years ago this year – you were instrumental in introducing the Hong Kong system to the Mainland’s businesses. Benefiting from these market access arrangements, Hong Kong professionals have long played a substantive role in Mainland projects. Today, Hong Kong standards and codes of practice have been, or will soon be, adopted on two projects in Qianhai, as well as foreign-aid projects in Cambodia and Nepal. The results, I am pleased to note, are encouraging, with Hong Kong’s procurement and project management approach finding widespread favour. The greater significance of Hong Kong’s participation in Mainland projects is in showcasing our world-class talent and expertise. As the bay area becomes a reality, accelerating the flow of people, goods, capital and information among the cities, the boundaries of industries and areas of specialisation will become increasingly redefined. As collaboration becomes the norm, the market will open up to small and medium enterprises and to startups. Hong Kong will actively participate in taking forward the development of the bay area. Hong Kong will continue to play our role as an international finance and trade hub. We will continue to provide high value-added finance, logistics and professional services. We will continue to enable innovation and technology. We will continue to serve as an international arbitration centre powered by the rule of law. Together with other bay area cities, we will apply our strengths and experience to sustain and expand the country’s remarkable development. As for Hong Kong, the opportunities will be there and they will be abundant. I look forward to the contribution from our surveyors to the development of a world-class bay area for the 21st century. 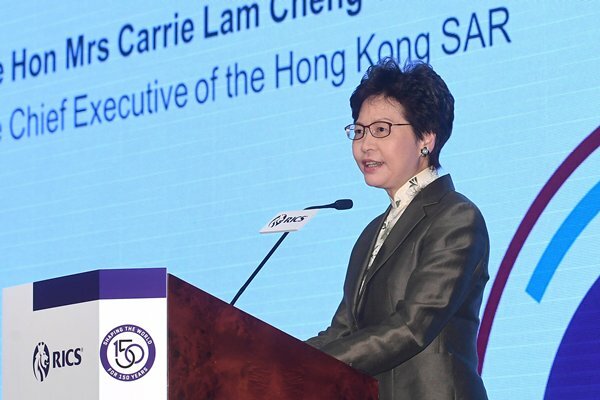 Chief Executive Carrie Lam gave these remarks at the Royal Institution of Chartered Surveyors Hong Kong Annual Conference 2018 on May 18. Since the 2008 financial tsunami, the global economy has undergone sweeping changes. With the global economic gravity shifting towards the East, emerging markets are playing a much more important and influential role. The unstoppable wave of innovation and technology across the globe has brought disruptive changes to the global economic structure and the way that we live and consume. The rising trade protectionism has driven more economies to turn to regional or bilateral trade negotiations for promoting and maintaining their trading activities, whilst striving to safeguard multilateral trade. Opportunities are where challenges arise. Hong Kong is bravely rising to the challenges by consolidating our strength, exploring new opportunities with an open mind and solving problems with an innovative mindset. Our status as a leading international financial centre has long been established. In the latest Global Financial Centres Index published in March 2018, Hong Kong was ranked third worldwide and the first in Asia. We are the first mover to conduct offshore renminbi business. Today, we are the world’s largest offshore renminbi business hub with total deposits of over RMB618 billion, handling around 76% of global renminbi transactions. The number of insurers in Hong Kong added up to 159 in 2017 while the combined fund management business in Hong Kong amounted to US$2.3 trillion in 2016, topping the league in Asia. We are also among Asia’s top three stock markets, with market capitalisation standing at US$4.3 trillion. Hong Kong knows better than anywhere that it cannot rest on its laurels won in the past. We have to strive continuously to maintain and improve our competitive edges for tomorrow’s world. To stand still is to stagnate. Asia is driving the global economy. Within Asia, the impact, scale and importance of China are abundantly clear. Over the past five years, China has contributed over 30% to global economic growth and, together with other developing regions in Asia, has made up a share of almost 60%. The future directions and strategies of our motherland’s economic development thus have a major global bearing. What I am referring to are the enormous opportunities offered by the Belt & Road Initiative and the Guangdong-Hong Kong-Macao Bay Area development. Hong Kong is destined to play an important role in the overall development of China including the Belt & Road and Bay Area Development. We can provide Belt & Road countries with world quality and reliable financial services. The Bay Area Development adds another important dimension to the Belt & Road Initiative and Hong Kong’s prospects. It aims to foster closer cooperation and economic integration among Hong Kong, Macao and nine Guangdong cities, and helps turn the vision of the Belt & Road Initiative into real opportunities particularly in infrastructure development, financial connectivity and innovation and technology. It is important to note that the bay area has a total population of 67 million, which is comparable to that of the United Kingdom, France and Italy, and a combined GDP of $US1.4 trillion which is roughly equivalent to Korea and ahead of Australia. These facts, coupled with our strategic locations and inherent institutional strengths and connectivity with the world, speak volumes about the vast potential of the bay area. Infrastructure development is at the heart of the Belt & Road countries. According to the Asian Development Bank, it is estimated that Asia will require an infrastructure investment of US$1.7 trillion per year until 2030. With free flow of capital and a deep pool of financial talent, Hong Kong is the ideal place to raise funds for Belt & Road projects. We have a wealth of experience and expertise that are familiar with international standards in carrying out project finance in both public and private markets and a great variety of financing avenues. In fact, the Hong Kong Stock Exchange has topped the world in five of the past nine years in terms of initial public offerings (IPOs). The funds raised through IPOs in 2017 amounted to US$16.5 billion. The launch of the Shanghai-Hong Kong Stock Connect, the mutual recognition of funds, the Shenzhen-Hong Kong Stock Connect and Bond Connect schemes in the last few years are of ground-breaking significance to capital market access between Hong Kong and the Mainland. We will continue to explore the possibility of including a wider range of products in the mutual access mechanism such as exchange-traded fund and extending Bond Connect to cover south-bound trading, with a view to creating more investment opportunities and better access to the Mainland capital markets for both local investors and those from the Belt & Road region and beyond. We have also seen rapid growth in the Asian bond market in recent years. Last year, US$300 billion worth of US dollar bonds were issued in Asian economies other than Japan, representing 60% more than 2016. We expect that the Asian bond markets will continue to expand. 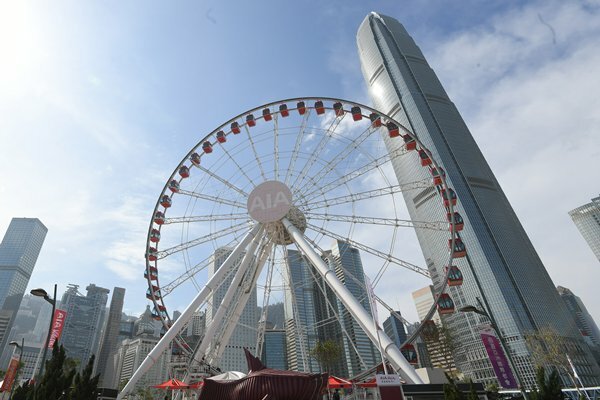 To encourage more investors and issuers from the Mainland, Asia and along the Belt & Road to participate in the Hong Kong bond market, the Government plans to launch an array of measures to enhance our competitiveness, including attracting corporate bond issuance, facilitating investors participation and broadening investment platform. We will play a more active role as a facilitator and promoter in developing Hong Kong into a preferred listing platform for emerging and innovative enterprises in the bay area and the wider Belt & Road countries. The Stock Exchange of Hong Kong has implemented the new listing regime in late April, allowing pre-revenue biotech companies and companies with weighted voting right structures to list on the Main Board. The new listing regime also provides a new concessionary route for qualifying issuers seeking a secondary listing in Hong Kong. We will ensure appropriate safeguards for investors and uphold the quality of our market under the new regime. To keep up with the global development, we will also facilitate financial innovation as far as possible. Specifically, we will leverage Hong Kong’s well-established financial industry to promote fintech and green finance. Fintech is a key driver in the future growth of the banking sector. To facilitate the development of fintech for Hong Kong’s financial services industry, we have launched a series of measures including the Fintech Supervisory Sandbox for banks to test out new technology without meeting full supervisory requirements in order to speed up the time-to-market for banks’ fintech products and services. We have introduced an Innovation Hub with ASTRI to spur collaboration between fintech firms and banks. We also partner with banks on testing Distributed Ledger Technology on proof-of-concept trials of trade finance, mortgage loan applications and digital-identity management, as well as researching into central bank digital currency. To nurture more fintech start-ups and talent, seed funding, business guidance, networking opportunities, and incubation and accelerator programmes are provided to young fintech entrepreneurs in Hong Kong. According to Accenture, fintech companies based in Hong Kong had raised about US$940 million of fintech investment over the past three years and compared favourably to their counterparts in Australia and Singapore where US$627 million and US$325 million were raised respectively during the same period. As for green financing, we are making earnest preparation for the launch of the government green bond programme with a borrowing ceiling of HK$100 billion within the current financial year to provide funding for green public works projects. To demonstrate our commitment to developing our bond market, fintech, green finance and other aspects of financial services, we have earmarked HK$500 million for the development of the financial services industry in the next five years. We have also set up the Financial Leaders Forum to formulate strategic and forward-looking proposals to strengthen Hong Kong’s position as an international financial centre. More resources will also be allocated to the Financial Services Development Council to enhance its role in promoting market development and nurturing talent. Acting Chief Executive Matthew Cheung gave these remarks at the 71st Chartered Financial Analyst Institute Annual Conference on May 14. It is a great pleasure to be here, an honour to serve as Reviewing Officer for the Hong Kong Fire Services Department’s 150th anniversary grand parade. 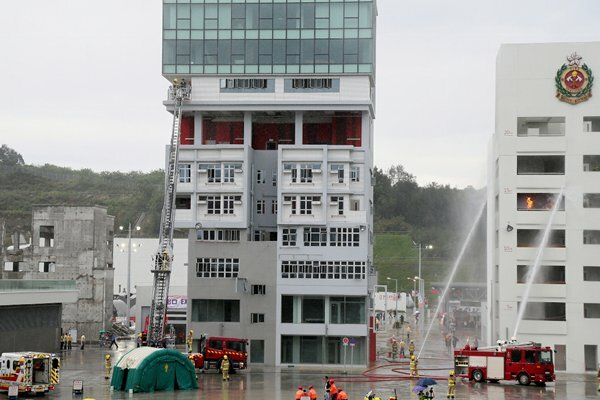 I was pleased to be here just over two years ago at the formal opening of the Fire & Ambulance Services Academy, another milestone in the long, proud history of the department, which began life as the Hong Kong Fire Brigade on this very day in 1868. From a brigade of some 100 personnel to today’s elite force of more than 10,000 professionals is a compelling statement of the Fire Services Department and its unwavering vision – that has always been to serve Hong Kong, to make our city, our community, a safe place in which to live and work. In pursuit of that goal, the department has over the years established a number of specialist teams. They work to enhance operational safety and efficiency, while promoting fire safety and ensuring quality ambulance services. Those efforts received a rousing boost with the opening of this state-of-the-art academy, with its specialised training facilities and more than 500 residential training places. The academy, I should add, welcomes our Mainland and overseas counterparts for fire and ambulance training. Here, they can also exchange professional views and insight on different areas, from firefighting and safety to rescue and paramedic ambulance services. Apart from enhancing professional standards, the academy’s work will help strengthen the ties between Hong Kong and other places. I encourage the academy to continue its efforts. The 150th anniversary of the Fire Services Department features a year-long parade of special events – for the public as well as industry professionals. That includes the three-day Fire Asia Conference, right here at the academy. The conference has attracted fire brigades and industry experts from all over the world. Once again, let me say how grateful I am to the Fire Services Department, proudly serving Hong Kong now for 150 years. Chief Executive Carrie Lam gave these remarks at the Hong Kong Fire Services Department 150th anniversary grand parade at the Fire & Ambulance Services Academy. As you may know, I’m usually called upon to talk about the financial health of Hong Kong. As Financial Secretary, while I am committed to safeguarding Hong Kong’s financial stability and fiscal health, I am equally devoted to further enhancing the health of Hong Kong people and ensuring that our healthcare system is sustainable in the long term. Health is one of our key policy areas and has been a major outlay of government expenditure. In my Budget delivered about two months ago, I have proposed to further increase the allocation for healthcare this year by 13.3% to $71.2 billion, bringing the share of healthcare expenditure up to 17.5% of our total recurrent expenditure. The additional resources will be used to boost the number of public hospital beds and augment operating theatre sessions and the service quota for outpatient clinics, as well as to strengthen manpower and professional training. We will also be enhancing our services for cancer screening, mental health, dental care and Chinese medicine. Long-term planning is essential in sustaining the quality of our health services. The Hospital Authority and the Government are pressing ahead with the $200 billion 10-year hospital development plan. I have further earmarked another $300 billion in this year’s Budget for implementing the second 10-year hospital development plan, and improving clinic facilities and healthcare teaching facilities. And to ensure the rising medical needs of our community continue to be met, we will also further increase the number of publicly funded training places for doctors, dentists, nurses and relevant allied healthcare professionals. Hong Kong, like many other advanced economies in the world, is facing the daunting challenges of an ageing population and the prevalence of chronic diseases and increasingly drug-resistant communicable diseases. Primary healthcare, which focuses on health promotion, disease prevention and chronic care will be central in tackling these challenges. The Government is currently reviewing the service with a view to drawing up a blueprint for the service, for the sustainable development of primary healthcare services in Hong Kong. Therefore, this year’s convention, with primary healthcare and chronic diseases management as its key topic, is a fitting opportunity for the local and overseas experts and practitioners to share their experiences and insights, and to promote the best practices in primary healthcare. I would also like to take this opportunity to express my heartfelt gratitude to all the healthcare professionals and colleagues of the Hospital Authority, for their unwavering dedication and commitment in serving the people of Hong Kong. Financial Secretary Paul Chan gave these remarks at the Hospital Authority Convention 2018 opening ceremony on May 7.